This dataset shows 2018 individual and family health plans available in the United States where the federal government is operating the Marketplace. States not represented in the dataset runs their own Marketplaces. This dataset contains information on certified medical plans offered through an exchange to consumers in the individual market. 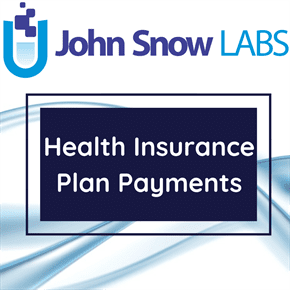 These plans are also known as Qualified Health Plans (QHPs). The plans offered by the county for states in the Federally-facilitated Exchanges, state partnership exchanges and state-based exchanges using the federal platform for eligibility and enrollment. Premium amounts do not include tax credits that will lower premiums for many consumers applying for insurance, specifically those with income up to 400 percent of the federal poverty level. This dataset also indicates whether the medical plan is a standardized plan design. An issuer may have up to five unique plans in each metal level that follow the standardized plan design for that metal level. It shows cost-sharing information for silver metal plans that are variants of the standard silver plan. Consumers that qualify for these silver plan variations based on their incomes and family size will see lower out-of-pocket costs. These plans differ from the standard plan by the percentage of healthcare expenses covered by the plan for a typical group of enrollees (i.e., actuarial value). The actuarial values of these silver plan variants are: 73 Percent Silver, 87 Percent Silver and 94 Percent Silver.